The Savoy Ballroom located in Harlem, New York City, was a medium sized ballroom for music and public dancing that was in operation from March 12, 1926 to 1958. It was located between 140th and 141st Streets on Lenox Avenue. The Savoy was a popular dance venue from the late 1920s to the 1950s and many dances such as Lindy Hop became famous here. It was known downtown as the “Home of Happy Feet” but uptown, in Harlem, as “the Track”. 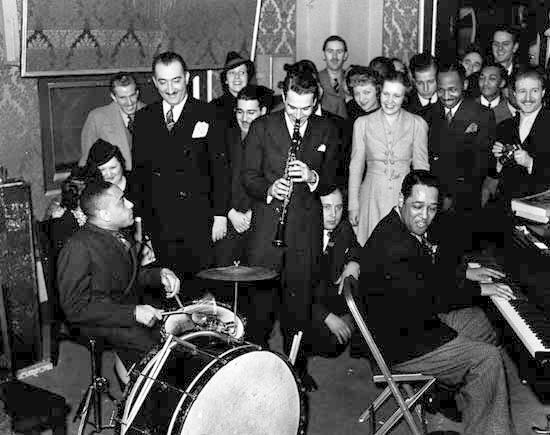 Unlike the ‘whites only’ policy of the Cotton Club, the Savoy Ballroom was integrated where white and black Americans danced together. Virtuosic dancers, however, excluded others from the northeast corner of the dance floor, now referred to as the “Cat’s Corner,” a term not used at the time. Why Webb and Goodman are credited as co-composers isn’t clear. The only hint of an explanation I’ve read so far about this is that, quoting Wikipedia, they “got their names added to the song when their bands recorded it. ” Perhaps their arrangements were distinctive enough to be considered compositional amendments to the original by Sampson. When the lyrics were written is obscure, but Jazzstandards.com’s dating of the song 1936 suggests that a new copyright registration was filed that year, presumably with the lyrics added. 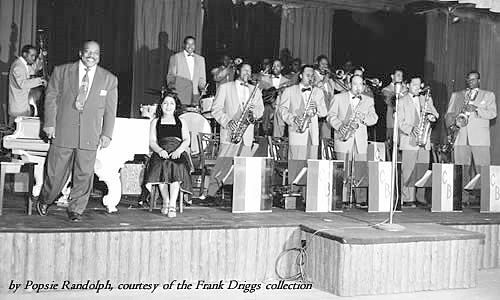 Chick Webb and his Orchestra – Date unknown. Webb recorded two hit versions, 1934 and 1936. 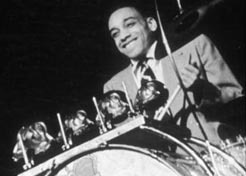 Some of my readers may expect to find information on this site regarding the legendary “battles of the bands” at the Savoy which pitted the house band of Chick Webb against rivals such as the bands of Duke Ellington, and Count Basie. I’ve thus far side-stepped comment on this because of the conflicting reports I’ve read as to who “won” the competitions. 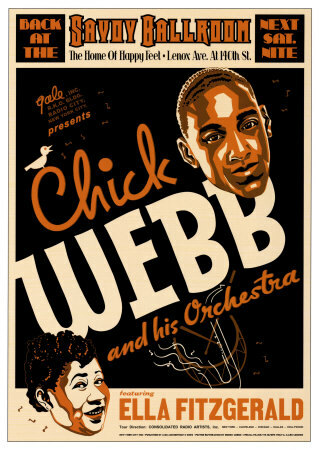 For example, Wikipedia’s Chick Webb profile says,”By the end of the night’s battles the dancers seemed always to have voted Chick’s band as the best.” But they immediately contradict that statement by declaring that Webb lost to Duke Ellington in 1937 and tied Count Basie in 1938. No sources are cited to back these alleged results. One the problems with the above claims is that they tend to suggest that these “Battles of the Bands” were annual events. But I haven’t found any evidence to support this. 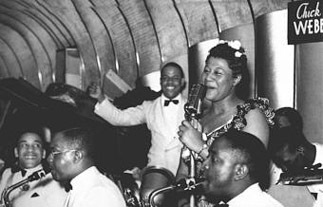 The same Chick Webb profile (Wikipedia) cited above states that the Savoy often held such events. 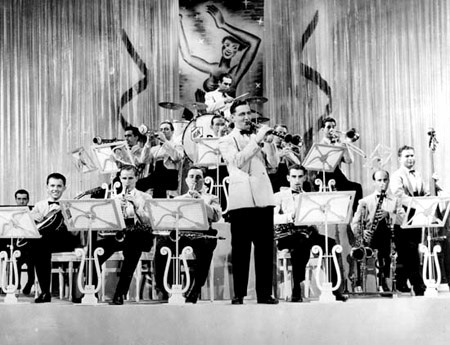 Elsewhere I have read that the events were common Sunday features at various Swing venues of the late 1930s, popular competitions with the contestants often being bands from different regions, Chicago vs. New York, North vs. South. We find evidence that reports of a band having won such a competition should be taken with a grain of salt when examining and comparing contemporary articles covering a single event. 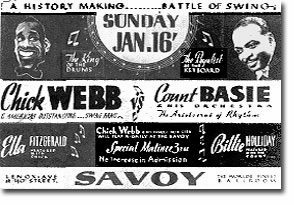 In an article at the site swingmusic.net on a 1938 “Battle of the Bands” at the Savoy, the topic is the much anticipated battle of the bands featuring the Chick Webb and Count Basie bands which took place on January 16, 1938. This happens to be the same night as Benny Goodman’s legendary Carnegie Hall performance, a circumstance which goes a long way toward explaining why this particular “battle” might also have drawn more attention at the time than scores of similar events, and why it might be long remembered. The article employs a newspaper piece published shortly after the event and quotes from a memoir of one of Whitey’s Lindy Hoppers, Norma Miller, who was present at the event, to show that the results of the event might have been skewed by a rift between Webb and proprietor of the dance troupe, Herbert White. 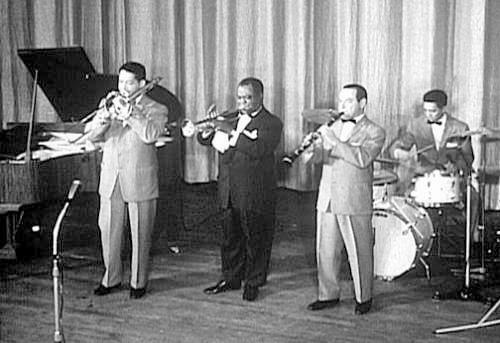 Miller reports that due to a misunderstanding Webb had loudly insulted the dancers and Whitey had responded by ordering them, prior to the event, to leave the dance floor whenever Chick Webb and his band arrived on the bandstand to play. General consensus of opinion agreed that both bands played magnificently making the decision a close one. There was good feeling all around, and it was decided that there would be a return battle in the near future. 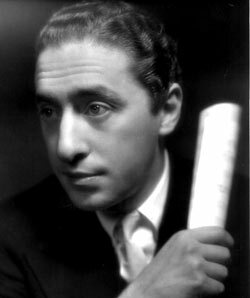 “Throughout the fight, which never let down in its intensity during the whole fray, Chick took the aggressive, with the Count playing along easily and, on the whole, more musically scientifically. Undismayed by Chick’s forceful drum beating, which sent the audience into shouts of encouragement and appreciation and casual beads of perspiration to drop from Chick’s brow onto the brass cymbals, the Count maintained an attitude of poise and self-assurance. He constantly parried Chick’s thundering haymakers with tantalizing runs and arpeggios which teased more and more force from his adversary”. Clifford Brown – Clifford Brown – 5 August 1954. 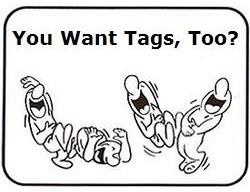 Brown (tp); Harold Land (ts); Richie Powell (p); George Morrow (b); Max Roach (d). Ella Fitzgerald – on British TV show in 1961. 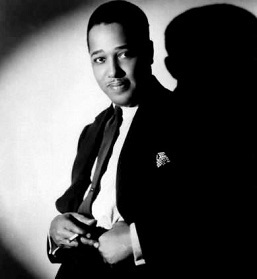 Fitzgerald joined Chick Webb’s band as a vocalist in 1935 and according to the site bigbandlibrary.com “quickly became one of its featured performers.” Ella might have sung this song with the band as soon as lyrics were available; but I haven’t found any evidence yet.